Studio/1 Bathroom garden level condo in Cherry Creek Village. 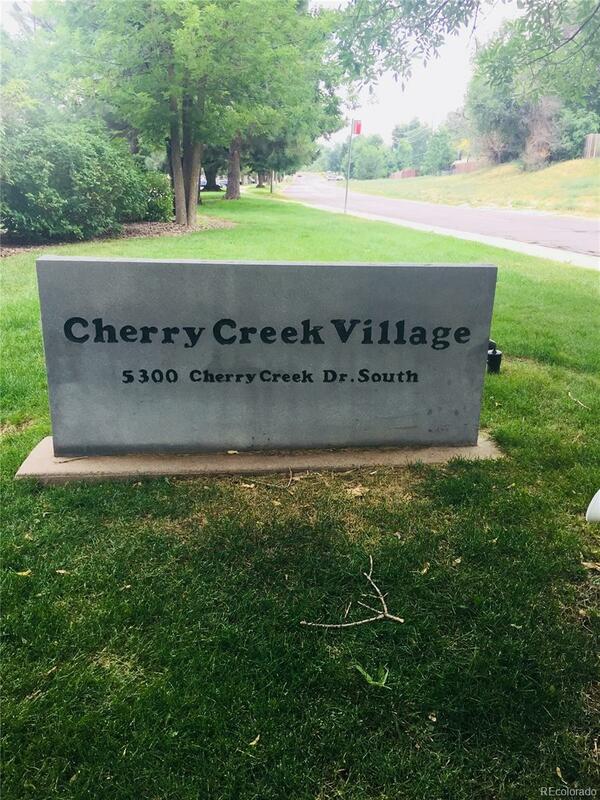 This quiet complex is very conveniently located, just minutes from everything Cherry Creek has to offer! This complex offers a clubhouse with fitness center, community swimming pool, and abundant parking. Just a few steps to beautiful green spaces parks and the Cherry Creek Trail. Tons of shopping and restaurants on Colorado Blvd are just down the block. Walking distance to Whole Foods, Bull and Bush Brewpub, Potenza Park, Garfield Park and Lollipop Lake! Perfect opportunity for owner occupant or investor. This unit is hard to find in Denver with such a prime location.